1. Do you provide the household cleaning agents or does the company? It may seem like a given that a company would provide their materials to clean. It is, however, isn’t always the case. Smaller companies might make you do your own. The upside to delivering your own is that you know what is being used in your home. You can decide to use green products or whatever suits your fancy. On the other hand, the cost of materials is then on you, and having the additional cost of the service itself can be more expensive. An ideal solution is to look for a company that has the options for both regular chemical cleaners and green cleaners, or if they only have one that they are eco-friendly. 2. Are your employees trained and have a thorough background check performed? This question cannot be stressed enough. It is essential to trust the person that is entering your home. Without this, it can make for a pretty uncomfortable experience. While you might be present for the cleaning, you might not. In the event, you aren’t you want to know that everything in your home is safe. It is the reason why to ask how employees are hired is very important and if they are trained appropriately. An extensive background checks and saves an employer a great deal of frustration, and many opt to do so. If the company you are considering does not have a significant hiring practice in place, you might want to reconsider. 3. Is the company insured? 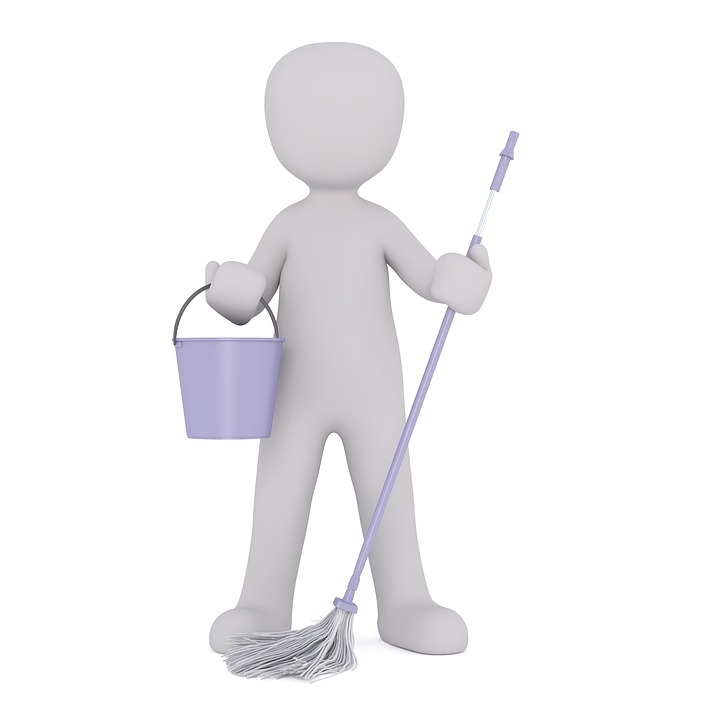 A cleaning service should always be insured so that someone will safeguard them from accidents. Carrying insurance can be expensive, but it is necessary to provide clients with a peace of mind that if anything were to happen, it could be made right. Accidents can happen, and it is better to air on the side of caution for those just in case moments. 4. Is there a written checklist of the jobs during the time of cleaning? You are hiring a person to do a job, so it is only natural you want to know what exactly they are doing. An excellent cleaning company will be able to furnish you with a checklist on what jobs should agents perform at the time of service. They should also be able to give you a detailed description of the inclusions of a regular cleaning vs. a deep cleaning. These checklists will help to promote customer satisfaction and is an excellent way for the client to know it was a job well done. 5. How is the price determined, and methods of payment that are acceptable? Every company has their way that they charge clients. It can range by a per room cost, to a by the hour. Each of these has their benefits, but it is good to have a clear understanding of how they charge. With charging by room cleaning company, it will be a fixed price. It is excellent for individuals who want to know precisely the cost of the service. In a by the hour, it is dependent on the skill level of the person cleaning and how quickly they can accomplish tasks. Depending on what your needs are either one might work. When it comes to payment, it is best if they offer options. For instance, one of the best ways to pay now is paperless. If a company offers these features, it will make it convenient and safe to make payments.